Nigeria’s education is crumbling. Some even say it has crumbled. University teachers are distraught but in no mood for any compromise after years of broken promises by successive governments. 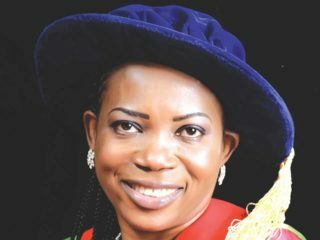 The die is cast and for the Academic Staff Union of Universities (ASUU), it is no retreat, no surrender, writes Head, Education Desk, IYABO LAWAL. The chequered history of the relationship between successive Nigerian governments and ASUU is riddled with half-promises, empty promises, and broken promises. As the two parties met last Monday, it was apparent that little or nothing would be accomplished at the end of the day. Yet, it was learnt, representatives of ASUU went into that meeting with some hope. However, after four hours of intense discussion, the ASUU party came out of the Federal Ministry of Labour and Employment office, wearing long faces, an ominous sign that the ‘warring’ parties could not reach a conclusion that will put an end to a strike that began in November 2018 – which has kept thousands of Nigerian students at home idling away. “We have not suspended the strike. The discussion will continue at a later date. We are going back to our members for further consultation. The federal government gave us a reaction to our proposals. But there are still grey areas that we are trying to sort out,” the ASUU President, Biodun Ogunyemi, told journalists as he stepped out of the meeting. 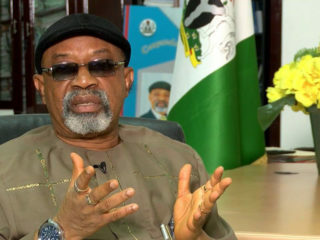 Chris Ngige, who led the government’s delegation, would have wanted the strike called off immediately after the meeting but admitted that was not going to happen at that moment. “We did not take a long time than we anticipated. We have other commitments. But the important thing is that we have made substantial progress. We have reached some agreements in seven areas. Most of the issues have been resolved. But ASUU will need to consult its members and come with what they think,” Ngige explained. In December though, a prominent member of ASUU, Dr. Tony Eyang, had accused the government of being “unserious” and “dancing around the issues”.Eyang, who is the chairman of the University of Calabar branch of the union, said: “We are not looking for 100 percent implementation; all we want is some demonstration of seriousness. It is not ASUU that is being difficult here, but the government is being unserious. For several months that this union has been on strike, they have been dancing around the issues. “Let me tell you, the 2017 Memorandum of Agreement (MoA) had a timeline, but one year after, the timeline was not met and another strike had to be called to force the government to look into it. So, on this matter, what argument, what discussion, and what agreement are you getting into again with the government when we had reached one with a timeline for the release of the money, owing people who have worked? “The Memorandum of Action of 2017 must be implemented. It is more or less a pathway to the implementation of the 2009 agreement. The way to move forward was what necessitated the N20bn commitment from FG but nothing has been.”With the country’s university system falling apart, the union has often insisted that the Memorandum of Action of 2017 must be implemented. To the university lecturers, doing so “is more or less” a pathway to the implementation of the 2009 agreement. 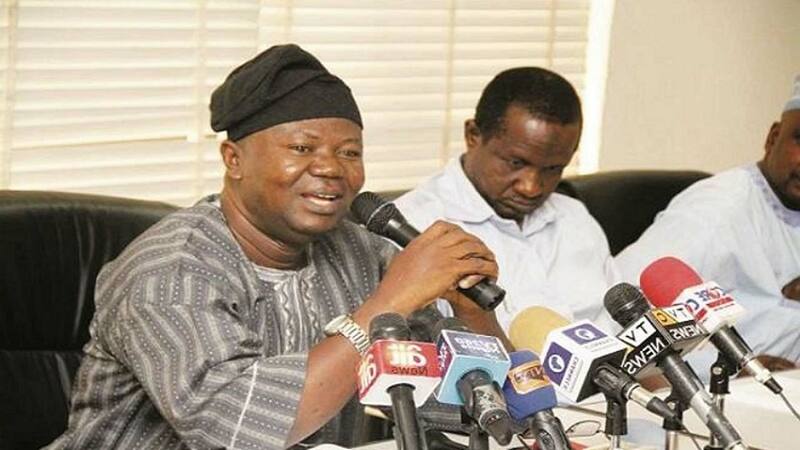 As the strike bites harder and negotiations continue between the union and the government, ASUU has stated that it would not insist that the federal government should pay the N1 trillion at once for the upgrade of universities. It was in view of this that last year; the government proposed that it would release N20 billion as a mark of commitment to the revitalization of universities. ASUU accepted that proposition but the government has not been as good as its words. 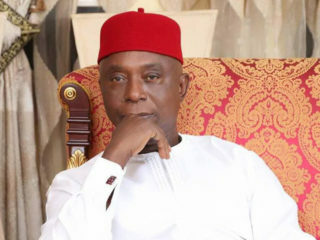 “Our members are very agitated and the federal government has not demonstrated commitment,” Eyang added.When the academic union stated last November that “the strike is total” it was not mincing words.Nigeria’s university education is acknowledged by almost everyone to be in shambles as the President Muhammadu Buhari administration embarks on reelection jamborees. University teachers are distraught but they are in no mood for any compromises after years of broken promises on the part of successive Nigerian governments. The die is cast and for the ASUU, it is no retreat, no surrender. A couple of weeks, in what sounded like a strike-weary group, ASUU stated that it was ready to negotiate with the government concerning the ongoing industrial action. According to Ogunyemi, the decision to go on strike was taken due to the poor funding of universities in the country, failure on the side of the government to honour the memorandum of understanding (MoU) signed between the union and the federal government in 2017. A November meeting between ASUU and the federal government’s delegation to resolve the crisis arranged at the instance of Adamu Adamu, minister of education, has not ended the strike – nor has several others held afterward.The ASUU president had pointed out that the N200 billion released by the federal government in September 2018 was not an issue but that sum ought to have been released in October 2017 as part of the 2013 agreement. “It would be recalled that the federal government had agreed to inject N1.3 trillion to fund universities at N220 billion yearly for five years. If the government fails to fund public universities the situation on campuses may degenerate, worse than the already poor quality teaching and learning environment,” he explained. Often regarded as the union’s nemesis, the Dr. Wale Babalakin-led renegotiation team did not agree with Ogunyemi.“Should the federal government make available the sum of N1trillion every year to fund university education, which is equal to 70 percent of the total capital released for 2017, which was N1.3 billion? In our opinion, this is not realistic in a country that has other competing needs such as infrastructure, defence, security, health and other needs that require government’s urgent attention,” the team argued. Babalakin also pointed out that the government was only able to fund 22.5 percent of university needs and proposed what his team believe is a more sustainable method of funding as the renegotiation team wants an increase in the number of scholarships available to university students providing 30 percent of students with such opportunities. For the remaining 70 percent, the team said an education bank can provide an annual loan of N1 million to cover their tuition and other costs. “Our position is that every student, who gains admission to a university and is not able to qualify on merit for the federal government’s scholarship should be entitled, as of right, to obtain a loan from the education bank. A loan of N1 million per annum would be made available to each of such students. N700, 000 out of this loan will be paid to the university as tuition while the balance will be available to the student as support towards his upkeep allowances,” Babalakin further explained. That there is no love lost between the union and the federal government is not in doubt and for obvious reasons. One of which is the 2009 agreement between the two parties. Yet, since the reconstitution of the government’s negotiation team, it appears many steps have been taken backward. The longstanding distrust between the union and the federal government has once again been brought to the fore as the gown is asking the government to remove Babalakin, as the chairman of the government renegotiating team for the 2009 agreement with the federal government. In Nigeria’s education sector it does not rain but it pours. The issues for renegotiation are non-implementation of components of the 2017 memorandum of action, non-release of over N1 trillion arrears or revitalization fund owed public universities from 2014 to 2018. Others include non-release of the forensic audit report on earned academic allowances and non-payment of arrears for 2009 to 2017, failure to mainstream the payment of earned academic allowances into the annual budget. ASUU also wants the government to resolve the issue regarding the unpaid arrears of shortfall in salaries in universities that have been verified under the presidential initiative, on continuous auditing.On July 1, 2013, ASUU embarked on a nationwide industrial strike over federal government’s refusal to implement some components of the 2009 agreement with the union, which include the academic earned allowance, funding, and development of infrastructure. Public analysts are of the opinion that the government is using delay tactics to renege on its promises on the renegotiation of the 2009 FGN/ASUU Agreement and September 2017 MoA. The 2019 general election is around the corner. It is not clear how an ASUU strike can adversely affect the chance of President Muhammadu Buhari’s chance in the forthcoming presidential election. Less than 30 days to the February 16 presidential poll, it is yet to be seen how the crisis will be finally resolved. But in the meantime, students, their parents, and guardians are the worst-hit as ASUU and the government spar over an agreement that is a decade-long.